Sweet and sour pork with rice is a favorite for many people. In addition, it is packed with healthy protein and a variety of other important nutrients to help keep you strong, healthy and full of energy after you eat it. 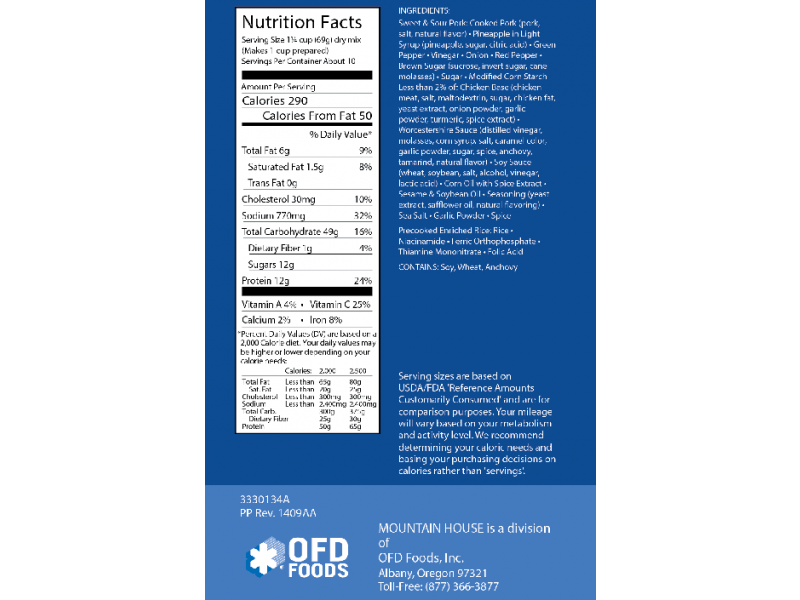 Of course, if you’re eating this food during any sort of disaster or other life threatening situation, having these nutrients will be absolutely essential. 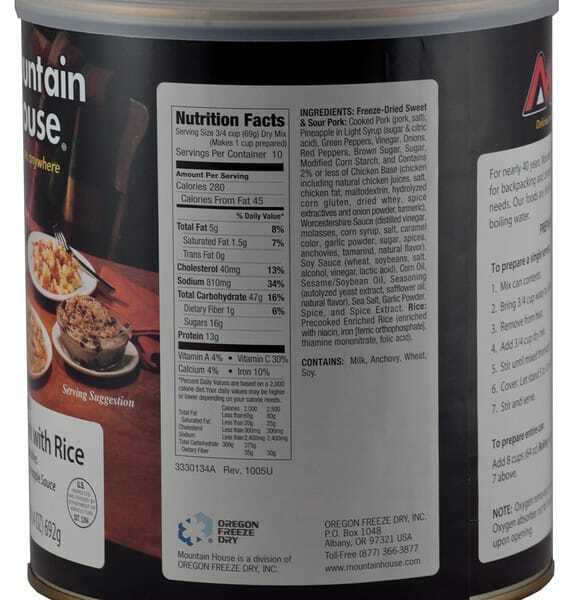 Mountain House has made sure that this is not only a nutritious food, but also that it tastes great, and that it will last for 30 years on the shelf, so buy with confidence. 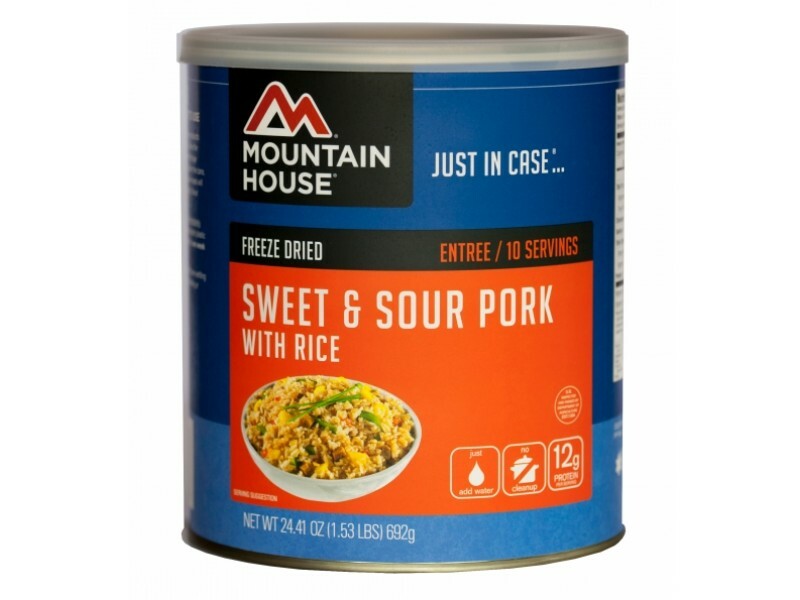 This #10 can of sweet & sour pork with rice from Mountain House really has everything you need to stay strong and healthy. In addition to the pork and rice, which are delicious, this recipe also contains vegetables to help boost the overall nutritional value. It is smothered in a great tasting pineapple sauce, giving your meal that familiar taste everyone enjoys. This is one of those meals that just about everyone in the family will enjoy, which is very important, especially during disasters or other types of emergencies. 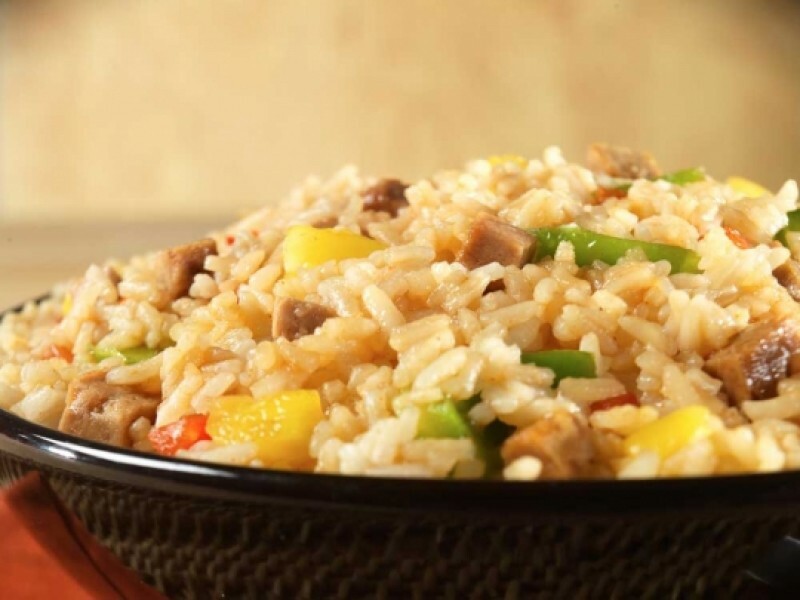 Sweet & sour pork with rice makes an excellent addition to any food storage program. 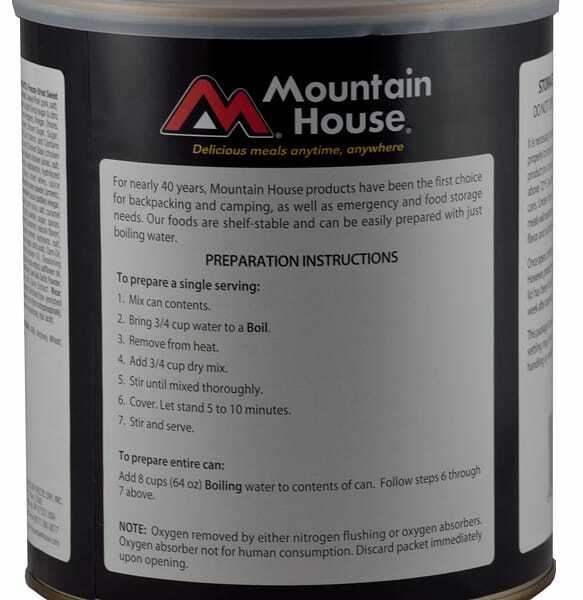 If you’re just starting your food stockpile, this is a good product to get going as well. It contains 10 full servings, and with such a great variety of meat, grains and vegetables, it will keep you healthy for quite some time. You can also stack multiple cans of this item, or any other #10 can of food quite easily. This makes it one of the most convenient items you could buy today. 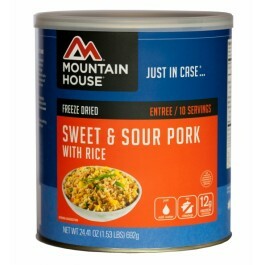 If you enjoy traditional sweet & sour pork with rice, make sure this is added to your cart for purchase. You’ll be glad you have it when an emergency strikes, or whenever you feel like pulling it out and enjoying it.